Quickly Create Engaging, High-Quality Screen Captures & Videos. Want to be able to easily record your message on video and display it to the world? 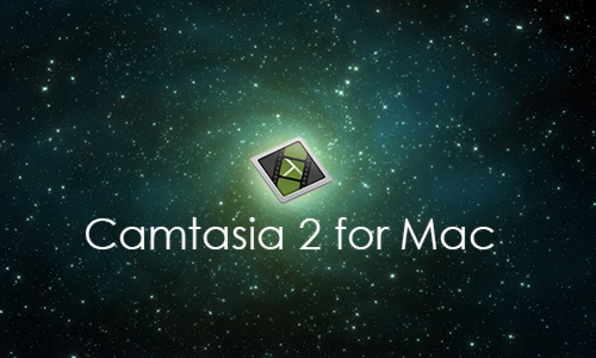 Now you can with Camtasia for Mac. Camtasia for Mac screen recording software is streamlined, intuitive, and makes you look like a pro. You can EASILY capture onscreen activity, add professional polish, and communicate your message visually.  TechSmith's Camtasia for Mac gives you flexible recording options, professional yet easy-to-use editing tools, plus web and mobile sharing capabilities so you can show incredible video screencasts to the world. 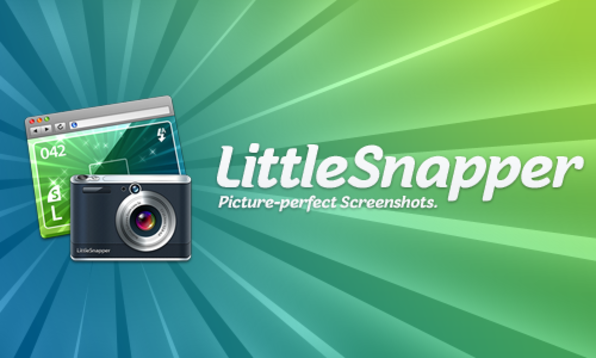 LittleSnapper is built to be the designer's digital scrapbook, allowing creatives to snap, organise, edit and share screenshots and webpages that interest them. This POWERFUL little app is the ideal choice for anyone looking for a beautifully crafted application built to make managing screen and websnaps easy. From the comprehensive capture tools for the desktop and web, the powerful organisation options to curate your library, and the vector-based non-destructive annotations through to the Ember Flickr and SFTP sharing, LittleSnapper has ALL the tools a designer needs to cultivate their own design library. Snap Away Capture screenshots at-will and store them in an efficient and effective way. Get Organized Keeping your snaps organised is a breeze! LittleSnapper automatically categorises your snaps based on their type - websnap or screensnap - meaning that even before you’ve applied tags you can quickly locate the webpage you snapped last week. Core Annotation Whether you’re highlighting a UI element or simply wanting to point out a typo on your website to your over-typing copywriter, LittleSnapper’s seven powerful annotation tools mean you’ll always be able to give clear visual feedback. 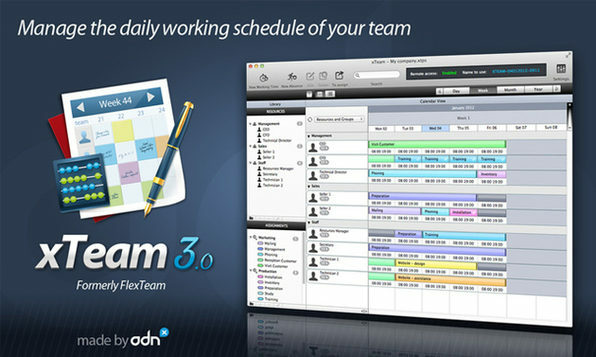 xTeam is an incredibly useful tool to manage the working schedule of people in your group or organization. Manual scheduling can take hours or even days to create and maintain. xTeam can dramatically reduce this administrative expense, save time, optimize working hours, and eliminate schedule mistakes. Share information, work jointly on schedules, and use all of your available human resources as efficiently as possible. The intuitive user interface furthers the notion of making life easier on you. It will improve your efficiency and relieve stress as soon as you fire it up! Increase Efficiency Traditional approaches to team management are primarily outdated of unnecessarily expensive. This intuitive little tool will keep you and your team running at an optimum level. Remote Access You can share a schedule online with just one click. When a schedule is shared online, resources can view their own schedule with the app xTeamView available for free on Mac, iPhone and iPad. Caring Tech Support As intuitive as xTeam is, the support team is always happy to help to ensure you are getting the most out of their software. Ever in doubt? They are awaiting your call! 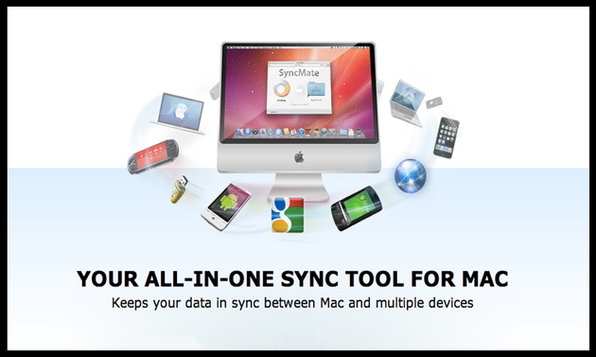 Easily Run Windows Applications & PC games on your Mac! Ever wished you could run your windows applications and PC games on your Mac? CrossOver XI has you covered and now you can easily install your windows software right onto your Mac without a Windows license, without rebooting, and without a virtual machine. Your Windows applications and games integrate seamlessly on your Mac OS X and run alongside your other Mac applications. Dual-Booting Running two separate operating systems on one machine, and switching between them as needed by rebooting. Running a Virtual Machine (VM) Products such as VMware and Parallels allow you to run a full version of the Windows OS inside a virtual machine running on your native operating system. The Windows applications essentially run in a separate "box within a box." Check out what applications CrossOver is compatible with here. 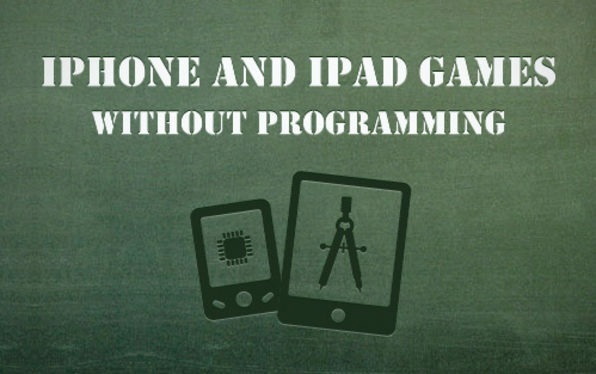 Ever wanted to learn how to build & market an iPhone & iPad game but don't know how to code? If YES, this video course is for you! You're going to get over 10 hours of full blown KNOWLEDGE that will teach you how to build an iPhone/iPad game without using a single line of code! Yup, you heard us right - not a SINGLE line of code. This course will show you how to use a third party piece of software called Game Salad (free piece of software) to create all of your games. Learning how to program can take months if not years and let's be honest...we just don't have that much time on our hands. With this course you'll gain all the insight you need to create your games and to sell them on the Mac app store. John Bura has been programming games since 1997 and teaching since 2002. John is the owner of the game development studio Mammoth Interactive. This company produces XBOX 360, iPhone, iPad, android, HTML 5, ad-games and more. Plus he's a program advisor for a game design college. 1. Get the most out of every meeting or lecture with audio that’s synced right to your notes. That's right. With NoteBook you can record meetings and lectures, and sync every second to your notes, automatically. Every comment, fact and to do is captured and easily reviewable, so you will be better prepared and always able to follow through on your assignments. 2. Stay super-organized without much effort. 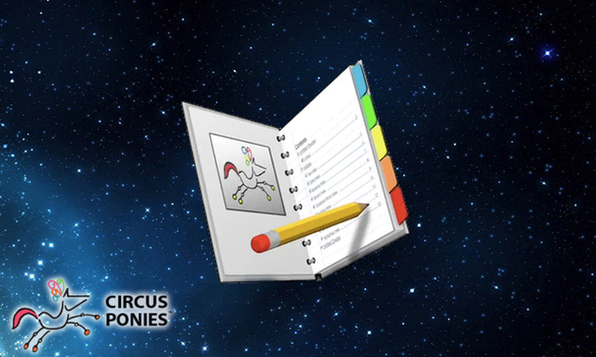 Circus Ponies NoteBook stores your information in electronic notebooks that are just like the paper ones you’ve used all your life. Set up dividers to create sections and subsections, and then fill the pages with your notes, lecture PDFs, web research, budget spreadsheets, and anything else. 3. Find anything instantly, every time. NoteBook has a super search feature called the Multidex that helps you find things based on how your brain categorizes them. So if you can remember even a little bit about what you're looking for, you can find it quickly. There’s no better way to search available anywhere, PERIOD. The ULTIMATE Tool for Achieving the More at Work! As you use Circus Ponies NoteBook and your performance on tasks and assignments goes up, everyone will start to believe that you are an absolute genius. You will become known as the “go to” person for projects that just have to get done. When tough questions are posed, they will turn to you first for answers. They will want to ask, “How is it that you remember everything and are so well organized?” Your answer will be...NoteBook ;). Create Amazing Photos in Minutes & Make Others Say "WOW"! Any photographer can benefit and can have fun with this Mac app. Trust us. Created by usability and photography professionals, FX Photo Studio Pro's user interface ensures that editing your photos can’t get any easier. With a click or two, you can apply and customize effects, access all editing tools, apply random effects, preview original and resulting image, import images from Aperture or iPhoto, share photos via social networks and more. In addition to 172 photo effects and filters, FX Photo Studio PRO features over 20 editing tools to enhance your images even further. Those include: sharpen, noise reduction, color balance, light levels, exposure, brightness, saturation, shadows, highlights and much more. For a quick image editing on-the-go, check FX Photo Studio for iOS. Most of the great features from desktop version inside stylish, intuitive user interface, designed specifically for iOS device. Disclaimer from the developer of FX Photo Studio software: “FX Photo Studio was created and beta tested by a team of dedicated professionals, including developers, designers, and photographers. 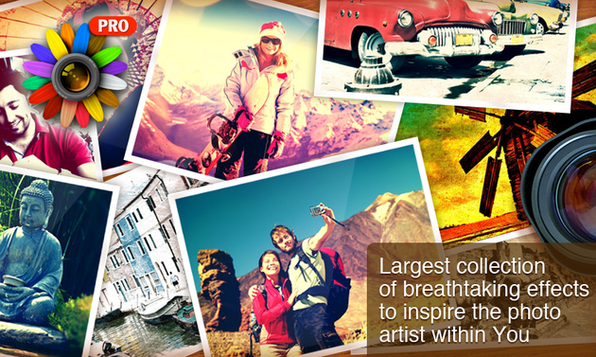 FX Photo Studio gives you a lot and lets your creativity truly blossom. If you have questions or suggestions, feel free to contact us. Always glad to hear from you” – Paul Muzok, CEO of MacPhun LLC. Not sure? Click here to try out the app! Build a healthy relationship with money. 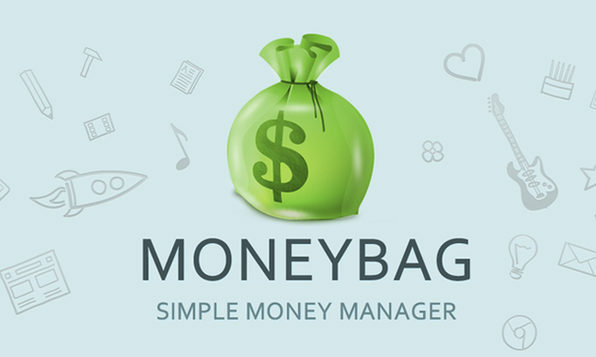 MoneyBag is the easiest way to manage your day to day finances. With customizable categories, intelligent reports, awesome charts and an amazing design, MoneyBag equips you to budget, track, review, analyze, set goals, save for emergencies, get out of debt, save and do a lot more. Get overall peace of mind in your finances. Strikingly Personal MoneyBag's awesome team will show you how YOU can use their app to solve money problems you face in your everyday life. 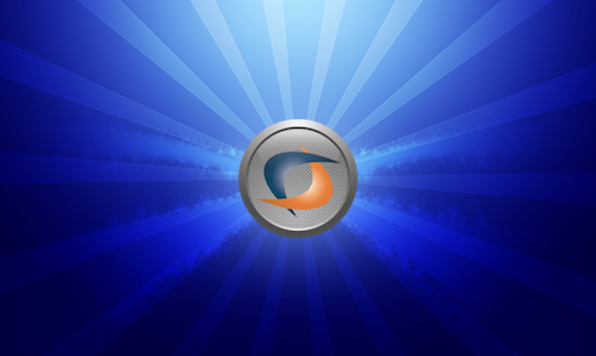 Amazing Software Without a doubt the simplest and most intuitive money manager around. Awesome Support We are there at every step to help you in simplifying your financial life and do everything possible to keep you happy. Better Habits. Better Lives. Better World. Habits is a life changing app which provides an awesome framework for people to create new habits and resolutions. Whether you are trying to shed a bad habit or develop a healthy one, Habits is the perfect tool to help you accomplish your goals. The kind folks at Habits have created the perfect app to keep you on track, motivated, accountable, and structured to help ensure you make your desired life changes. "I love this app. There's something about knowing that if you miss a target day of a good habit, that you're going to break your streak. It's the Seinfeld "don't break the chain" idea. 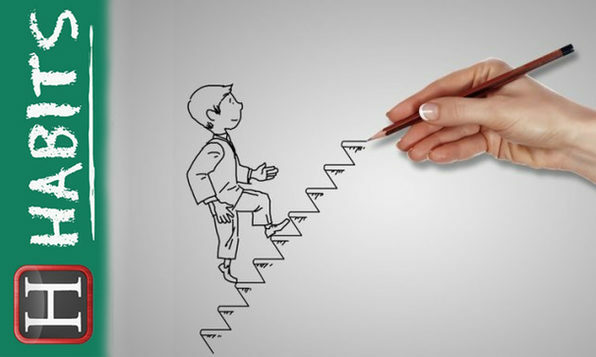 It turns your desired habits into a game you play against yourself, and it works!" - Ryan B. "Very rarely do I write a review but I have really found this app to be motivating and it keeps my goals top of mind. I'm a post-it kinda girl but this app on my home screen and I'm always planning the next thing I can cross off." - Jessica S.
Power of People An option to share your habits with your facebook friends to hold you accountable and give you that extra push. Habit Tracking The app makes the trackings of habits a breeze. Just select a habit and click done or not done to enter the progress. Notes for a Day You can add notes for a day to record your experience, reason for not doing or a trigger pattern which causes a desirable or undesirable action. In addition to making good and breaking bad habits, Habits also can be track the resolutions you make. Print Anything from Your iPhone or iPad. Ever wish you could print something from your iPhone or iPad? Printopia turns this wish into reality and allows you to print anything right from your iPhone or iPad! Just to be clear this app isn't an iPhone or iPad app. It runs on your Mac and allows you to connect printers right to your iOS devices to print anything. 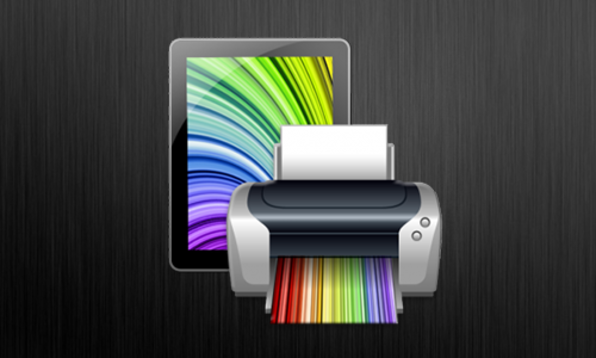 Printing from your iPhone or iPad is easier than you've ever imagined. Now you can run Printopia on your Mac to share its printers to your iPhone, iPad or iPod Touch. Also, you can add unlimited virtual printers to save print-outs to your Mac as PDF files. What languages do the apps in the bundle support? Camtasia 2: English Circus Ponies Notebook: English CrossOver XI: English FX Photo Studio Pro: English LittleSnapper: English Printopia: English xTeam: English, French, German, Italian, & Spanish MoneyBag: English Habits: English SyncMate Expert: English, French, German, Russian, Japanese, & Spanish iPhone & iPad App Course: English If I buy the bundle today, can I download my apps later after I get my new Mac? Yes, as long as it’s within 60 days of your purchase. You’ll be able to access all of your license codes, download links, and installation instructions right in your account. Do the licenses work on all my Macs? Please note: all licenses are for ONE user only but some licenses are valid for use on numerous Macs. Camtasia 2: 1 Mac Circus Ponies Notebook: 5 Macs CrossOver XI: 1 Mac FX Photo Studio Pro: 5 Macs LittleSnapper: 1 Mac Printopia: All your Macs xTeam: 1 Mac MoneyBag: 2 Macs Habits: 2 Macs SyncMate Expert: 2 Macs but can sync with multiple devices iPhone & iPad App Course: Numerous Macs (only internet is needed) Are the apps Mountain Lion Compatible? Yes, and if any upgrades occur they will be free. Where can I retrieve my purchase information? You’ll be emailed a confirmation receipt that will contain everything you need to know to download and activate your apps and you’ll also be able to access all your purchase information in your account under ‘My Purchases’. Did my purchase go through? If your purchase was complete, you should 1) receive a confirmation message in your web browser, 2) be able to access all your product information in your account under ‘My Purchases’, 3) receive a confirmation email. The license code I received isn’t working, what should I do? Please carefully read the installation instructions for each of your products to make sure you’re not missing something. Some applications require you to enter in your name and/or email address exactly as you provided those details to us. If your license details are still not working, please contact the developer directly of the app in question for the fastest response. I mistyped my name or email address so how can I update my license details? Please contact the developer directly of the app in question for the fastest response. We’re unable to manually alter licenses once they have been granted so you must contact the developer in order to get the issue resolved. Please note that this may take several days to get fixed because it can be relatively laborious. Developer/Company Support Details (just make sure to mention you purchased this bundle from StackSocial): Camtasia 2: http://www.techsmith.com/contact.html Circus Ponies Notebook: info@circusponies.com CrossOver XI: info@codeweavers.com FX Photo Studio Pro: support@macphun.com LittleSnapper: contact@realmacsoftware.com Printopia: supportdesk@ecamm.com xTeam: support@adnx.com MoneyBag: support@moneybagapp.com Habits: support@habitsapp.com SyncMate Expert: support@eltima.com iPhone & iPad App Course: support@udemy.com I was charged multiple times, what should I do? Contact us immediately with your full name, your account email address, and the dates the charges were made and we’ll be sure to take care of the situation.